Need to add some mass to your scrawny frame? Or do you want to bulk up now that you’re going to the gym? Whatever the case, you need to eat more calories than you normally do every day to achieve your goals. 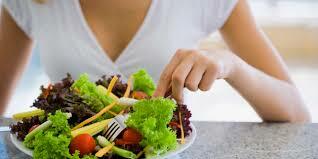 Below are some tips on how to eat more the healthy way. You probably eat 3 big meals per day like most people. To increase the amount of food you eat, you don’t have to pile on more on the same plate. Rather, you can break down your meals into smaller portions speared throughout the day. For example, you can choose to have 6 smaller meals. This will enable you to eat more without too much effort. Try to eat every 2 hours instead of waiting to feel hungry. Honey, olive oil and coconut oil are great additions to any diet. They will increase your calorie intake without putting you at risk of disease. 1 tbsp. of honey has 50 calories while 1tbsp of olive oil contains 100 calories. Whole grains, dairy products, fruits, vegetable and lean proteins are all nutrient dense foods that you can eat a whole lot and still stay healthy. If you’re looking to add some weight, then you should load up on meats. They contain a lot of natural fats that will help you gain weight much faster, the healthier way. 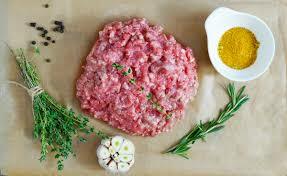 Eat at least one portion of meat per day. While unhealthy foods will help you put on weight, this is not the way to go. Fried food, sugary food and junk food should be avoided at all cost because they do not provide the nutrition you need to stay healthy. You need to keep eating throughout the day. For this reason, you should have a healthy snack with you at all times. Nuts, dried fruits, net butters and cheese are excellent sources of calories that you should snack on during the day. This is important in how to eat more. It is impossible to eat non-stop during the day. Mix up your food intake with nutritious high-calorie drinks. They can come in handy when you’re not feeling hungry. Milkshakes and smoothies with ingredients such as mangoes, flax seeds, bananas and avocados are a great addition to your diet. This might sound ridiculous but using bigger plates subconsciously enables you to eat more food. You increase your serving size per helping without feeling like you’re overeating. This way, you eat more food than you normally would throughout the day. Consider using toppings that add extra calories to your food. Some calorie rich toppings that you might want to consider include peanut butter or chicken taco, oatmeal, olive oil, avocados, milk powder and nuts. The topping will depend on what you are eating. Go with a topping that you love and you will find yourself eating more with every meal. If you are trying to lose weight, then eating only when you are hungry is a good strategy. But this won’t work if you are trying to put on some weight. The best strategy is to plan out your meals throughout the day and stick to them. You shouldn’t let the fact that you are not hungry discourage you from eating. While this may be hard to pull off when you are starting out, your body will slowly learn how to adapt to your mind such that you eat when your brain tells you to and not when you feel hungry. This is how to eat more. You don’t want to stop eating low calorie vegetables all together since minerals and vitamins are part of a healthy diet. However, you should save low calorie vegetables for last after you have loaded up on all the high calorie foods you can eat. 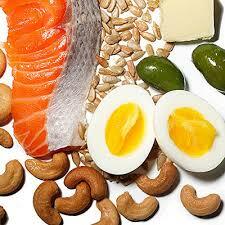 If you want to bulk up, you need to supplement your work in the gym with lots of protein. Protein shakes, protein bars and protein powders should be part of your daily regimen. You can even make delicious dishes with protein based recipes available online. For example, you can make pancakes, cupcakes, brownies, cookies and other delicious delights. Complex carbs are a rich source of calories. That’s not all- they also give you tons of extra energy to allow you to get your daily tasks done and give you a boost in the gym. Load up on sweet potatoes, quinoa and brown rice. For maximum effect, eat all your carbs an hour after your workout or after you’re done with your daily tasks. This helps give your metabolism a boost and refuels your body after a long day. Fruits contain lots of natural sugars that enable you to reap all the benefits while avoiding the dangers of sugar. Fruits are easy to snack on and allow you to get your daily dose of calories with very little effort. Start off by eating 2 bananas per day. This is all you need to know about how to eat more. How Many Calories in a Pineapple?